Take it From a Fayetteville Car Accident Lawyer, The Moments After A Wreck Are Important. Is anyone hurt? Do I have to call the police? My car is totaled. How do I move it? It wasn’t my fault. Do I need a lawyer? These are just a few of the many questions that can flood your mind after an accident. No one expects to get in a car wreck. For this reason, it can be a highly stressful and traumatizing event that forces you into a state of total disarray. The Fayetteville car accident lawyers at Niblock Law Firm have helped countless individuals who have been completely overwhelmed after being involved in a wreck. 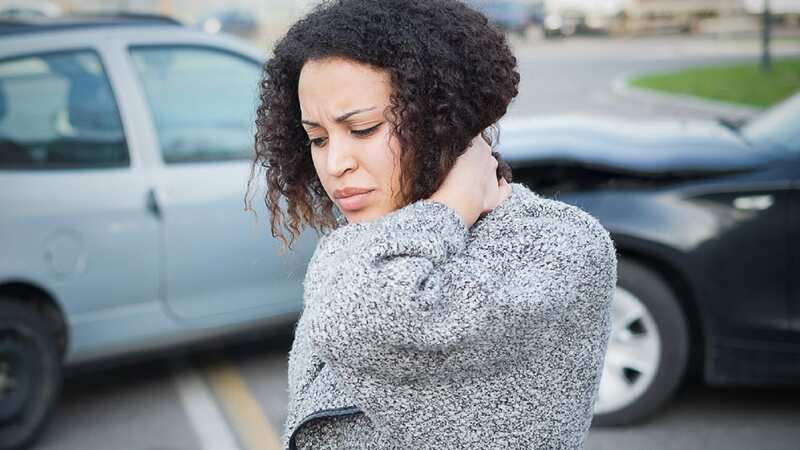 While it’s normal to be rattled after experiencing an accident, especially if you’ve suffered injuries, it’s important to understand how to proceed. Our step-by-step guide is designed to help you keep calm and be as prepared as possible to make important decisions in the moments following a wreck. No two auto accidents are the same, but the following suggested tips can help ensure your safety and support any legal action you may decide to take later on. Immediately after an accident, check to see if you or your passengers are injured and to what extent. If anyone has sustained serious injuries, call emergency care personnel immediately. In situations where you’re unsure if the driver or passenger is injured, it’s always best to be on the safe side and call an ambulance to evaluate everyone involved. If you’re not injured and your car is safe to drive, pull to the side of the road and turn on your hazard lights to warn other drivers. Otherwise, leave your vehicle and find a safe area to wait until help arrives. In addition to emergency care, the police should also come to the scene of an accident. No matter how minor the accident, it’s always important to call the police. If you haven’t already, the responding officer will advise you on moving your vehicle away from traffic. Most importantly, the police will take statements from anyone involved, investigate the scene, and file an accident report. Make sure to exchange contact and insurance information with the other driver involved including their full name and phone number, insurance company and policy number, driver’s license and plate number, and the make and model of their vehicle. Additionally, it’s smart to take down the contact information of the investigating police officer in case any questions arise in the future. In order to protect yourself later on, it’s important to document as much as you can about the scene of the accident. Even the smallest details can act as crucial evidence to support your claim. Taking pictures of the damage done to both vehicles can prevent the other party from making false claims against you. After all, a picture is worth a thousand words. When you’ve been involved in an accident, you must call your insurer, inform them of the incident, and file an accident report. Many times, drivers are hesitant to notify their insurance company that they’ve been in an accident, especially if they were at fault. Therefore, you should also contact the other party’s insurance company to ensure they are aware of the accident. Afterwards, the insurers will conduct their own investigation separate from the police report to determine who is at fault. The insurer will consider the police report, witness statements, and other evidence when making their assessment. 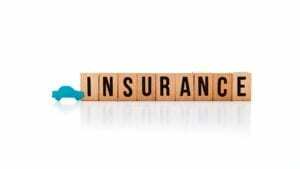 It’s no secret that insurance companies can be difficult to deal with. If you’ve been injured in an accident that wasn’t your fault, the last thing you need is an insurance company to take advantage of you. With an attorney from Niblock Law Firm on your side, you can navigate the complex laws governing insurance and car accident claims. Consult our office after an accident so you can feel confident that you’re receiving fair treatment. Following the suggested steps above after an accident can help you keep a clear head and make decisions that will benefit you down the road. Another thing to keep in mind throughout each step is telling the truth. You will likely be asked to recount what happened many times in the aftermath of an accident. 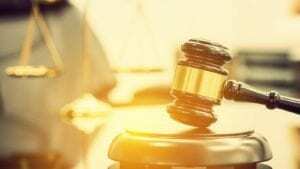 It is essential that your story be truthful and consistent throughout the entire process including your initial statement to the police and conversations with insurance companies and your lawyer. Altering your statement or leaving out any details can cause insurers to blame you and lessen your chances of obtaining compensation for your injuries. At the same time, never say anything that can be interpreted as admitting fault for the accident such as “I’m sorry.” Even if the accident was your fault, simply stick to the facts and avoid admitting or assigning blame to the other party. It’s the police officer and insurance company’s jobs to review the facts and decide who is at fault. The accident wasn’t their fault, so they assume they don’t need to report it. They don’t want their insurance rates to go up. They made a plan with the other driver involved to work things out amongst themselves instead of contacting their insurance companies. In an ideal world, when you suffer an injury or property damages due to another driver’s negligence, you would only have to inform the responsible driver’s insurance company, visit a doctor and car repair shop, and have the other party’s insurer cover your medical and repair bills. Unfortunately, it’s not always that straight-forward. Even if you weren’t the cause of the accident, failing to report it to your insurance company can cause complications later on. Not to mention, the majority of automobile insurance policies require policyholders to report any accident in which they are involved. 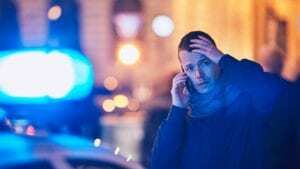 Contacting your insurance company establishes “good-faith accident-reporting” and protects you in the event that the other party’s insurance company refuses to cover your damages and you need to take further action. For example, imagine you were in an accident and make a deal with the other driver to not involve insurance companies. But, what if the other driver reconsiders several weeks later and decides to file a claim against your insurance company anyways for damage to their vehicle or injuries that have arisen after the fact? By reporting any collision, no matter how big or small, to your insurance company, you will save time and money later on. Don’t fall victim to common mistakes such as making agreements with the other party. Attempts to avoid higher insurance rates by keeping your insurance company in the dark can backfire and result in even more severe financial penalties. We’ve given you a lot of tips for handling the aftermath of an automobile collision. However, we understand that the stressful and sometimes life-threatening nature of car wrecks can cause you to panic and lose sight of what needs to be done. To sum things up, remember these vital points in order to protect your interests and make the claims process less of a hassle. Call the right people including emergency personnel and the police. Report your accident to both parties’ insurance companies. Consult an attorney who knows your rights. While hiring an attorney after a car crash is not required, it is always wise to seek legal counsel. If you’ve suffered serious injuries, legal representation is especially imperative because a knowledgeable lawyer can manage interactions with insurance companies and help you receive the fairest settlement possible. The Fayetteville car accident lawyers at Niblock Law Firm understand the law and know how to represent your legal interests. When dealing with insurance companies, you need a competent attorney who isn’t afraid to be aggressive when it comes to protecting your rights. We’re an experienced team with the resources and passion necessary to assist individuals who have suffered a personal injury due to someone else’s negligent decisions. In automobile collision claims, insurance companies know that individuals without legal representation will be more likely to settle for a low amount. They may utilize scare tactics to pressure you into accepting less than you deserve. We’re aware of those scare tactics and know how to combat them. If you or a loved one has been injured in a car wreck and aren’t sure how to proceed, contact Niblock Law Firm today. Don’t wait to find out if you’re entitled to receive compensation for your injuries or other damages. Our experienced and caring Fayetteville car accident lawyers will review your injury case and help you determine any legal options. We serve injured individuals in Fayetteville, Fort Smith, Bentonville, Rogers, Springdale, and throughout Arkansas. Call our office at (479) 521-5510 or fill out our contact form to schedule a free and confidential case evaluation. Ken Nunn is a personal injury lawyer in Bloomington, Indiana and welcomes cases in areas such as car accidents, 18-wheeler accidents, wrongful death, premises liability, and workers’ compensation. Ken is a graduate of the Indiana University School of Law, and is a member of the Indiana State Bar Association.